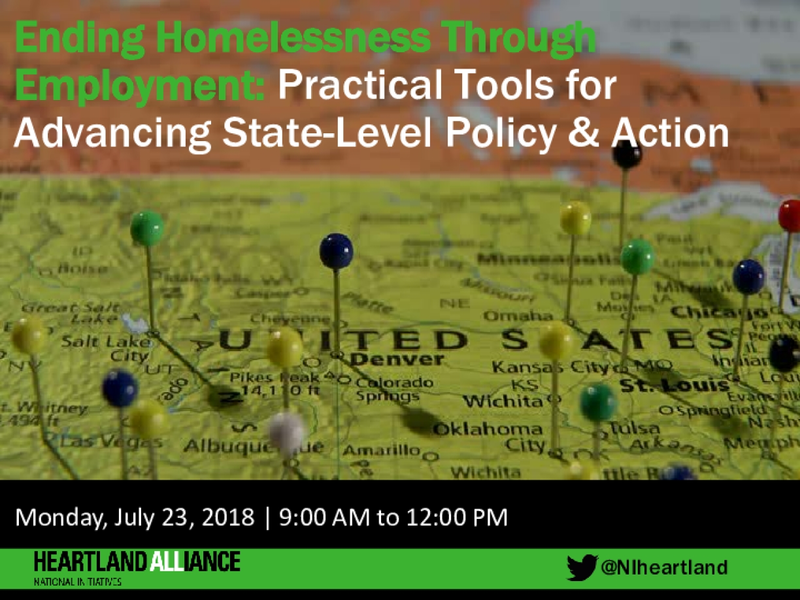 In July, National Initiatives joined forces with the National Alliance to End Homelessness and the Colorado Center on Law and Policy to offer a pre-conference session focused on advancing state-level policies to increase employment and economic opportunity for people experiencing homelessness and housing instability. 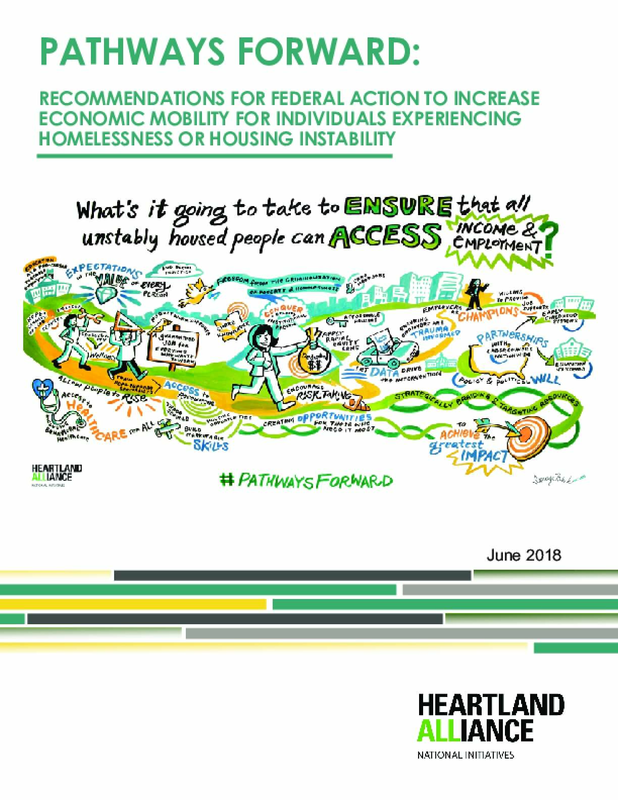 We were excited to share our lessons learned and ideas with so many engaged stakeholders and to see growing momentum for spreading these strategies. 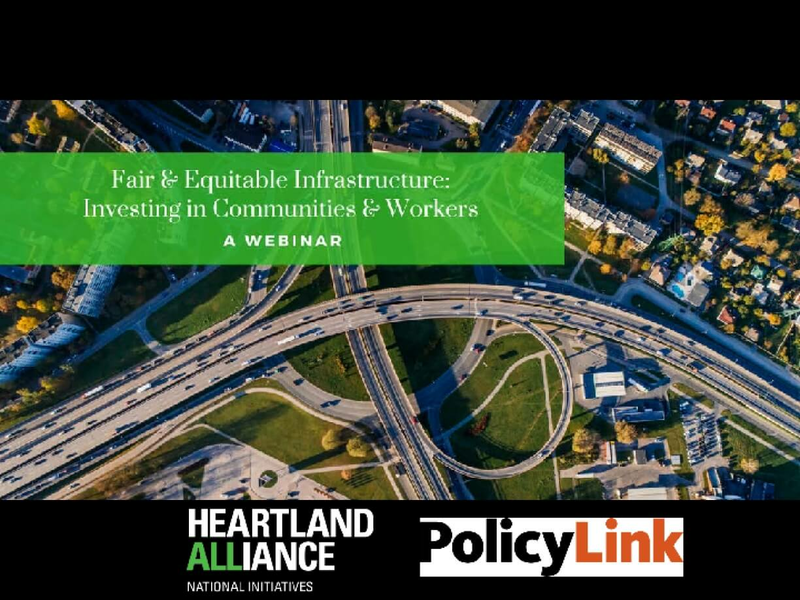 This webinar discussed why federal infrastructure investments matter and how these investments can advance equity and economic opportunity; lifted up examples of infrastructure projects already underway that are improving communities and investing in workers who face barriers to employment; and shared guiding principles for fair and equitable federal infrastructure investments. Panelists: Lisa Cylar Barrett of PolicyLink, Jeff Carroll of Details Deconstruction/Humanim, Andrew Simons of the City of Milwaukee Department of Public Works, John Anderson of Wisconsin Regional Training Partnership (WRTP)/BIG STEP, and Melissa Young of Heartland Alliance's National Initiatives on Poverty & Economic Opportunity.